Oh, my house smells so good right now! It smells like gingerbread. A gingerbread cake has been in the oven for about 15 minutes now. I'm already tasting it! You're all invited to have a piece. My Thanksgiving box might not be quite big enough for a slice of cake, but how about some maple leaf cookies? They would be a yummy surprise! I love this image! Love the subtle color,the couple and the pumpkins along the front of the house. 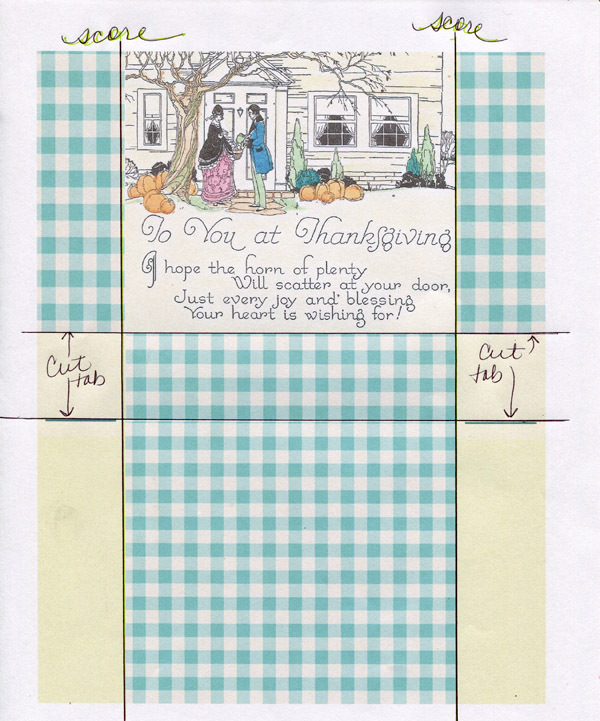 I paired it with a blue gingham and turned it into a printable box - you can download it (and the handle) below. It's super easy to put together - all it takes is four scores and four cuts to make two tabs. I printed mine on 110 lb paper. Wouldn't it make a pretty hostess gift or a treat for a friend? 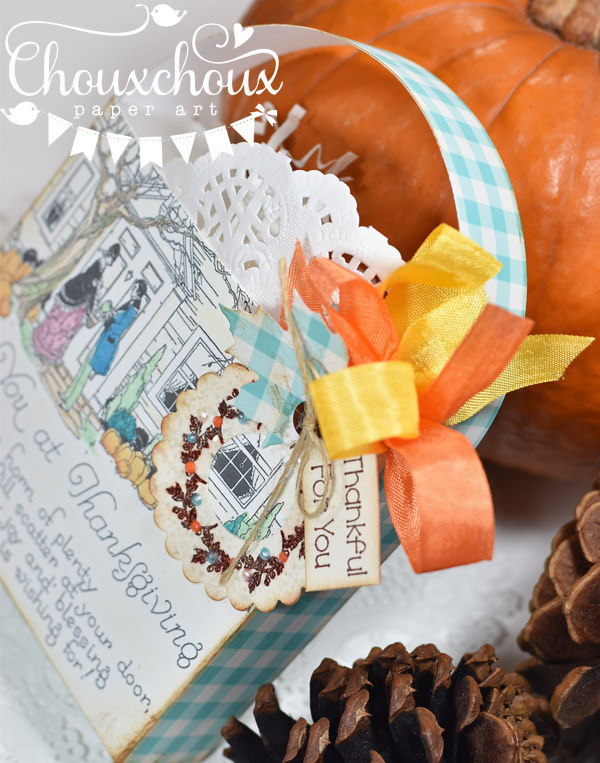 You can download the Thanksgiving Box HERE and the Handle HERE. Love this! Definitely going to download it...thank you!